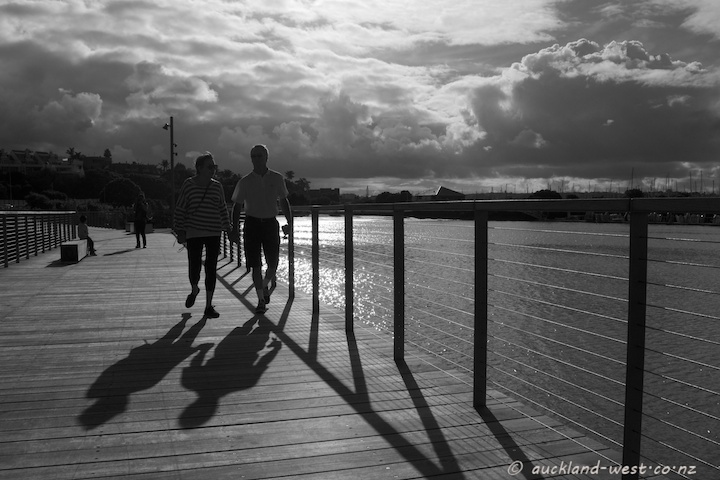 Walking back to Westhaven on the new boardwalk. Love those shadows, and the wonderful sky! lovely game with light and shadow. Visiting from THE BLACK AND WHITE WEEKEND.